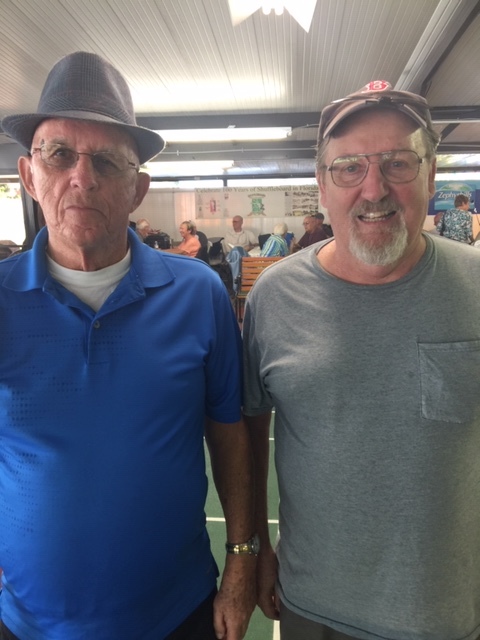 Earl Reynolds and Ken Thomas of the Betmar Shuffleboard Club won the season opening 4-Park, amateur, League Championship. They lost only one game on their march to victory. The tournament was hosted by Betmar on November 29 & 30. Sent along by Earl Ball WITH THANKS!! !